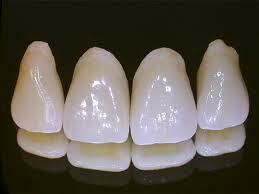 Ø Impressions from which plaster models of the teeth are constructed. Ø X-rays of the teeth and jaws. Ø Photographs of the teeth and face. Records allow the orthodontist to analyze each case accurately. 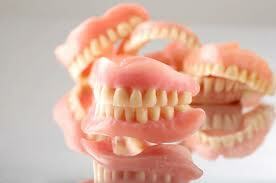 They are also used to record the existing malocclusion for future reference. 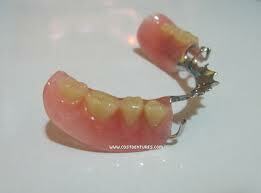 In some cases, a removable retainer will be all that's necessary. In other rare cases especially when there is an extreme overbite or underbite, surgery may be necessary. In most cases, however, braces will be needed. 1) Brackets: Made of stainless steel or tooth-colored ceramic or plastic, brackets are bonded to the front of each tooth. 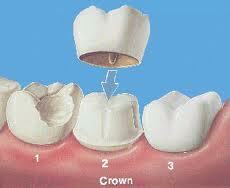 Ceramic orplastic brackets are often selected for cosmetic reasons. Plastic brackets may become stained and discolored by the end of treatment. Another disadvantage of ceramic or plastic brackets is that they cause more friction between the wire and brackets, which can increase treatment time. 2) Traditional bands: These are the generally outdated "full metal-mouth" look, which consists of the use of metal brackets soldered to metal bands that wrap around each tooth. 3) Lingual-type brackets: These are brackets that attach to the back of teeth, hiding the bracket from view. Food can get stuck in the brackets. Keeping good oral hygiene can be more difficult especially flossing. You cannot eat certain foods such as hard candy, tough meats, etc. Your lips may get cut up. Your physical appearance will be different. You will have to go to your orthodontist usually once a month for adjustments which can lead to a couple day of minor discomfort. There is pain associated with the adjustments. 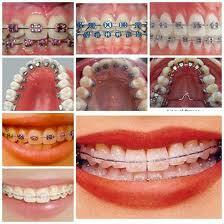 Most of these braces disadvantages are not enough for people to warrant not getting their teeth straightened. Dental braces are a great form of self improvement and help build confidence. Thangam's Dental Clinic is a modern state of art specialty Dental clinic situated in the heart of Chennai (Mylapore) offering a personalized, comfortable, relaxing but clinical environment. Thangam's provides up to date, quality care for patients from across the Globe using high-tech equipment. Thangam’s Dental Clinic Provides the Best Orthodontics braces treatment with affordable cost. 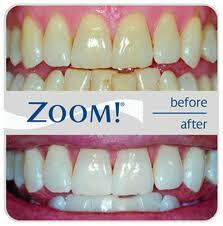 For any dental doubts just send an enquiry from our website or mail us.